Kevin Pietersen will make his return from England exile in the Three Lions’ first tour match on the sub-continent, as they gear up for the first Test of a four-match series with India. Andy Flower’s men are priced at 10/3 to win the opening Test and their chances are undoubtedly improved by the inclusion of South African-born KP, who will bat at number four in the first warm-up match. Spin has proved the Achilles heel of the England team in recent tours to Asia, where they were battered by Pakistan in the UAE and lost the first of a two-match series with Sri Lanka. Pietersen’s aggressive approach to playing slower bowling, where he always looks to dominate the man at the other end, is unlike that of any other batter in the current fold and is sure to cause fielding problems for the hosts. His record against this opposition is only bettered by his performances in four tussles with Bangladesh; the Surrey batsman averages an impressive 62.15 in 12 matches with against England’s next opposition and registered 49.66 over two matches the last time he faced them on their own patch. Alastair Cook will be taking charge of the side for the first time in a captaincy capacity and will need Pietersen – who is a 3/1 shot to return as the series top run-scorer – to recapture this form quickly, as getting off to a good start is crucial when playing in India. It’s been 36 years since England last won a series opener here and they went on to claim a 3-1 win the last time they achieved the feat. Since then, however, they have failed to start any Indian tour off with a win and the 1976-77 triumph remains their last series victory. 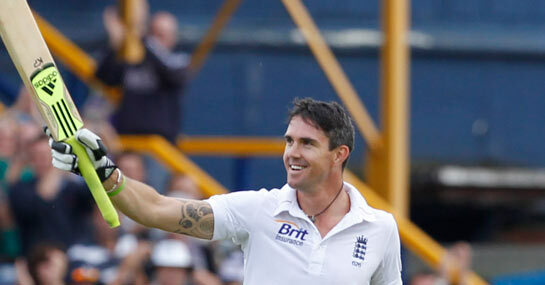 This highlights the importance of the upcoming warm-up games as Pietersen, who will not have featured for the best part of the three months when the first Test rolls around, needs to get up to speed as soon as possible in order to give the Three Lions the best chance of success in Ahmedabad.